Having fluctuated up and down in weight throughout the years, I know how difficult in can be to find clothes that fit and are also flattering. For a really long time I didn't like to wear dresses, but the older I get, and the more weight I lose, the more confident I feel. I know a lot of people often turn their noses up at 'plus size', but sizes start from as low as 16, and I find that the clothes are always cut better and are more comfortable. 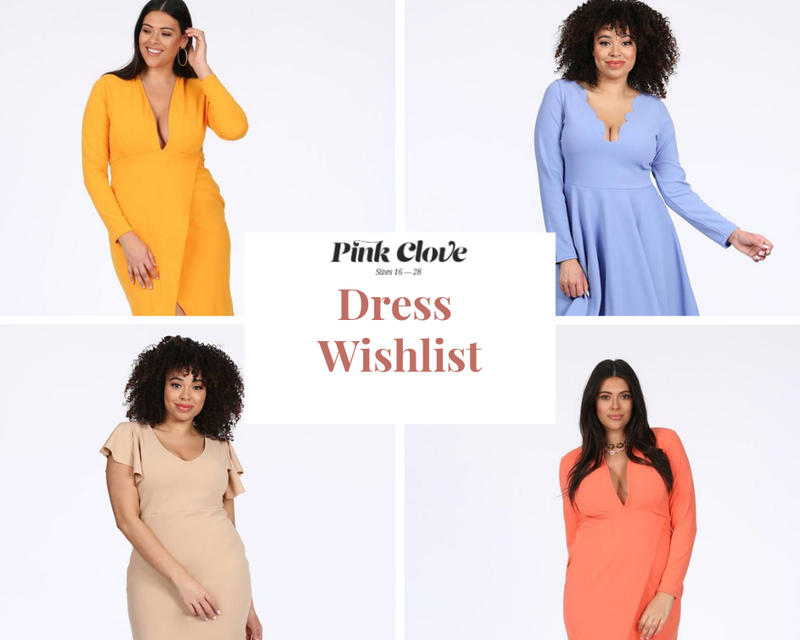 Pink Clove is a plus size clothing website that offers all different styles and varieties of outfits, from sizes 16-28. 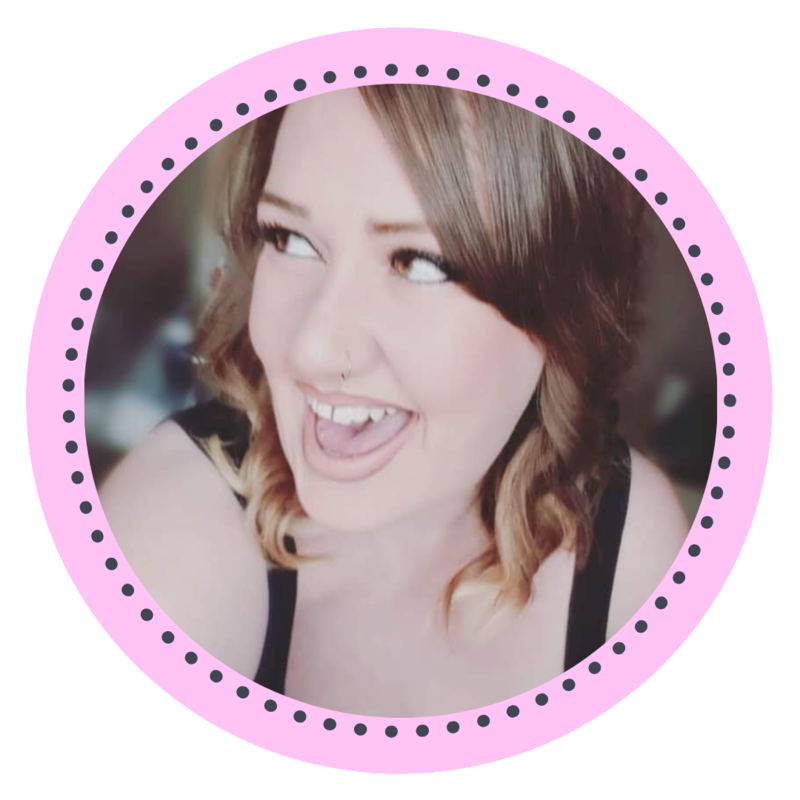 I have had my eye on some of their dresses for a while, and decided to put together a wishlist of my favourites. All of these dresses are only £20, which is an absolute bargain! Plus Size Coral Plunge Wrap Midi Dress £20 I love a wrap around dress, as it can hide a multitude of sins in the tummy area. This colour is absolutely gorgeous as well. Plus Size Blue Long Sleeve Scallop Neck Dress £20 I love this kind of skater style dress, and the scallop neck is really flattering for those with a larger bust. The colour is perfect for summer, and matches the theme in my kitchen! Plus Size Mustard Plunge Wrap Midi Dress £20 Another wrap around dress, but in a gorgeous bright colour. This vibrant mustard is eye catching, and I love it! Plus Size Stone Asymmetrical Midi Dress £20 The sleeves on this dress look super flattering, and I love the hem as well. A nice, neutral colour and light material. I would wear this to a smart event! Get in touch with me via @SugarPinkFood on Twitter, @sugarpinkfood_sw on instagram or Sugar Pink Food: Slimming Recipes on Facebook!